Appropriate for kids aged 6 and beyond, the U.S. 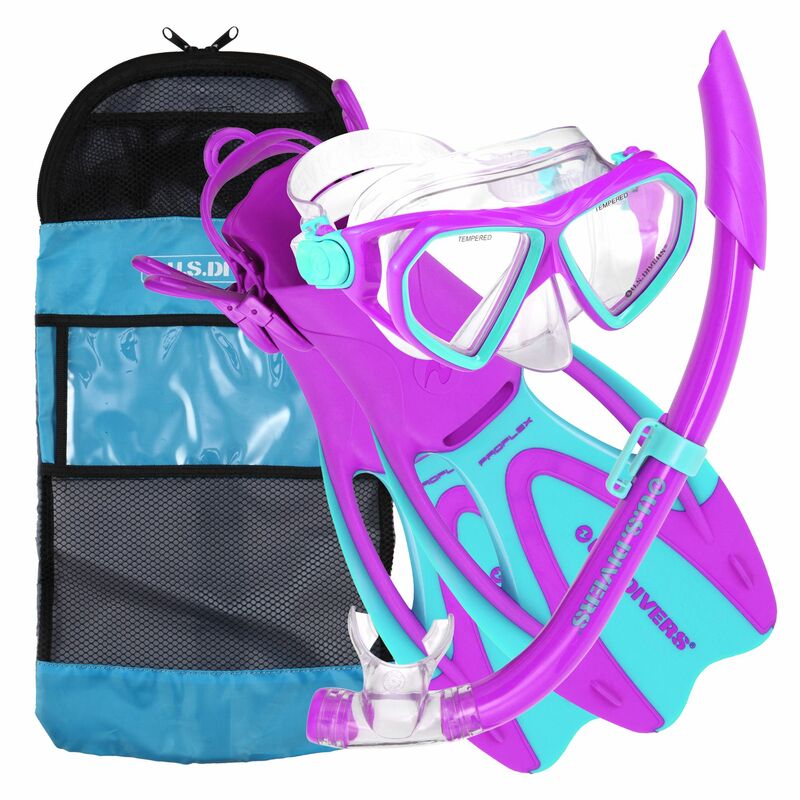 Divers Dorado Junior Snorkel Set is the perfect choice for a pleasant swim during holidays and casual swimming pool visits. The set consists of an easily adjustable, 2-window Dorado Mask with a low-profile made to fit smaller and narrower faces, as well as Seabreeze JR Snorkel with a top splash guard stopping water from entering snorkel barrel and ergonomic, comfortable mouthpiece. Furthermore, the set includes a pair of fins providing a powerful kick for a highly efficient energy and stamina management, plus they include a comfortable foot pocket with dual composite heel strap and adjusting buckles for a more optimised, cosy fit. This compact set arrives with a gear bag for added convenience during travels or pool appointments. 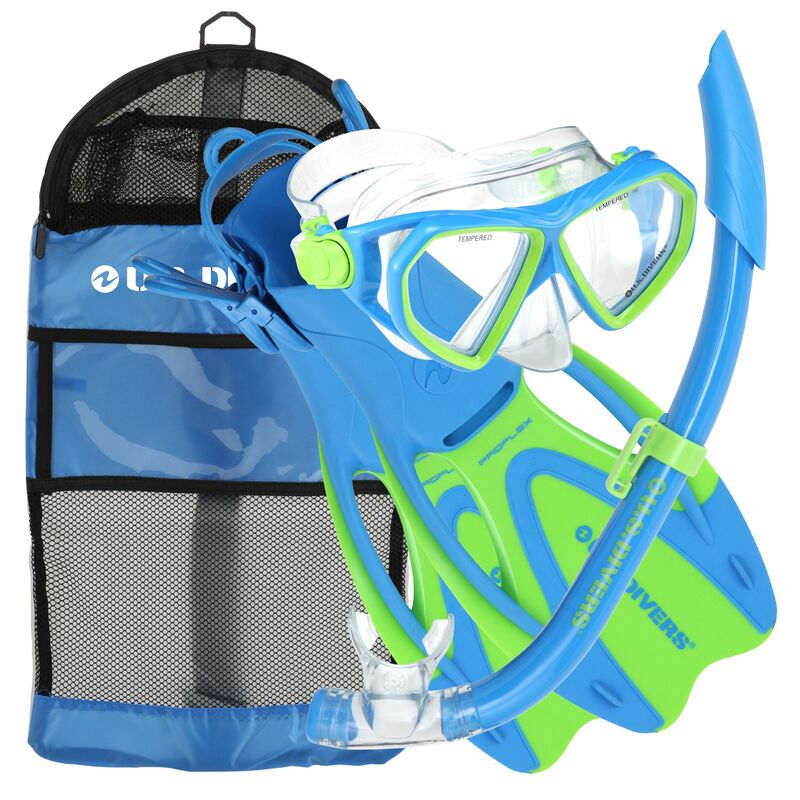 for submitting product review about U.S.Divers Dorado Junior Snorkel Set with Fins.